Country folk in sarcastic mood might say of another: ‘The apple didn’t fall from the tree’, but I have chanced on a mystery. 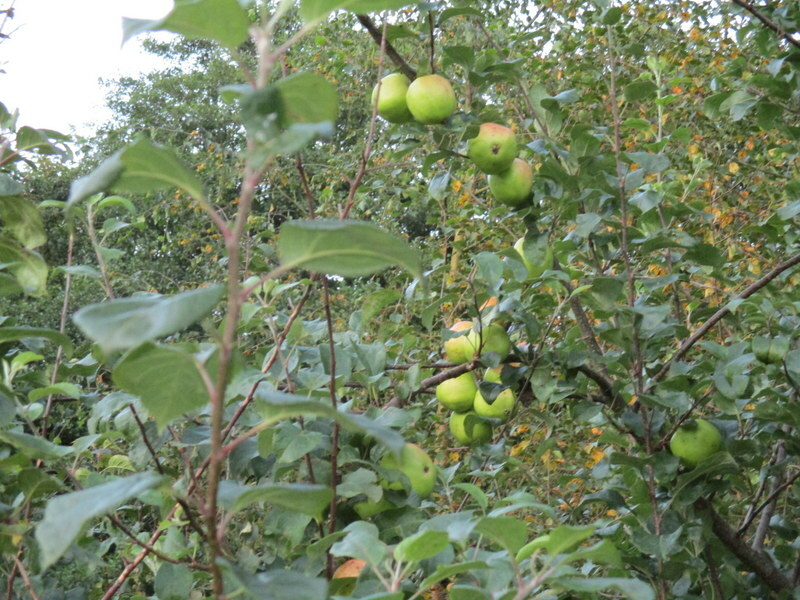 In our small woodland I have found windfall apples lying far from their parent tree – and ‘uphill’ of it. Some third party must be at work. Sheltering from rain I took refuge under a mature beech tree and there amongst the beech must were two apples. Had a fox picked them up, found them bitter and gone on its way – they had probably fallen in the gales, not from maturity? Then I saw further evidence of the culprit. 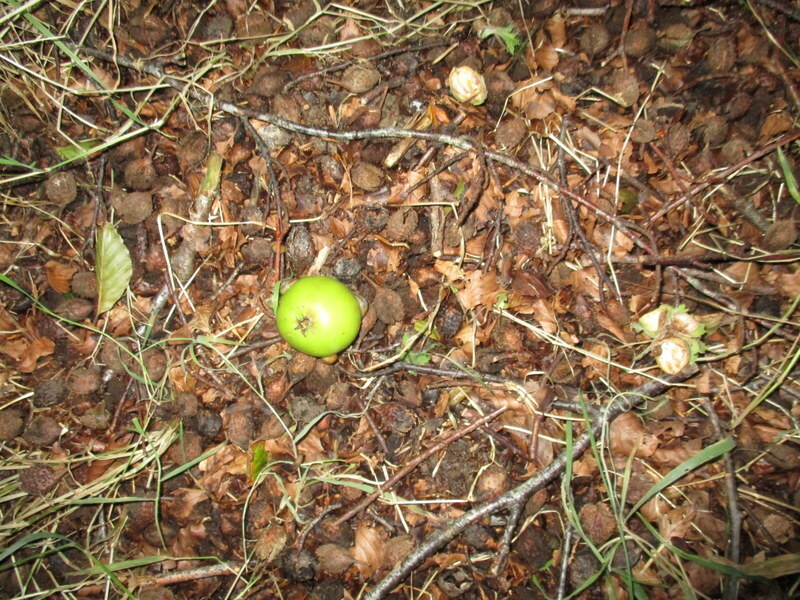 There were unripe hazel nuts lying close by, their shells gnawed and the kernel rejected. The squirrels are at it again. I hope there are some nuts left on the tree when the time comes to gather them.